Below you fill find all funeral homes and cemeteries in or near Bottineau. Suburbs of Bottineau: Lake Metigoshe, Metigoshe. Bottineau is also known as: Bottineau County / Bottineau city. Zip codes in the city: 58318. Bottineau County funeral flowers can be purchased from one of the local funeral shops we partner with. Some of the notable people born here have been: Gregory R. Page (businessperson). For the neighborhood in Minneapolis, Minnesota, see Bottineau, Minneapolis.Bottineau is a city in Bottineau County, North Dakota, United States. 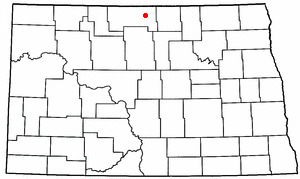 It is the county seat of Bottineau County and is located just over ten miles south of the Canada–United States border. The city's population was 2,211 at the 2010 census.The city is home to Dakota College at Bottineau. Attractions in Bottineau include the Bottineau Winter Park and "Tommy Turtle", the world's largest turtle, which has become a landmark for the city. 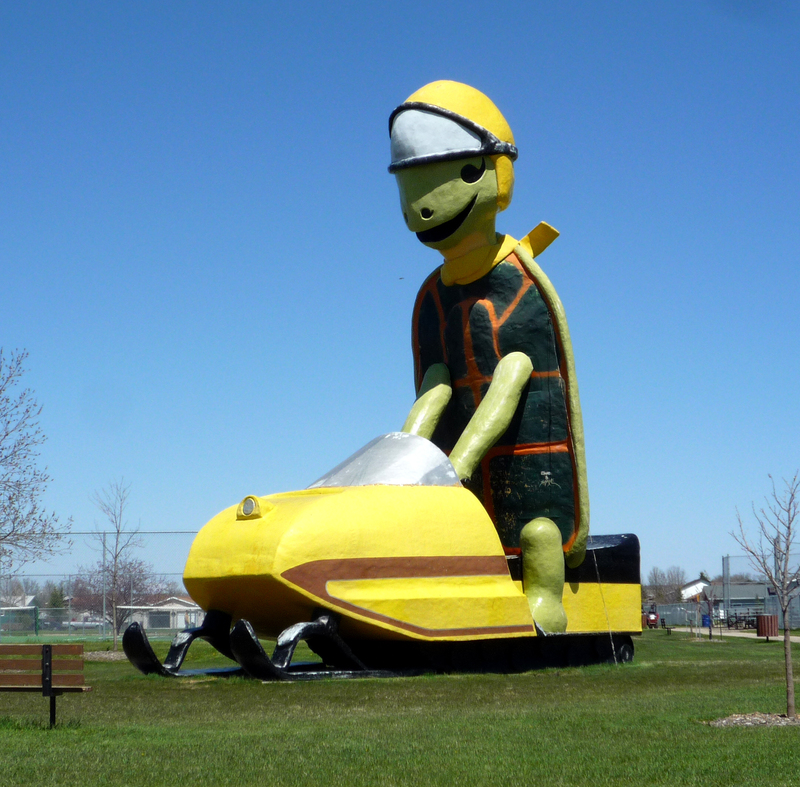 Built in 1978 and standing 30 feet tall, the fiberglass turtle is located in the eastern half of the city and supposedly was built as a symbol for the nearby Turtle Mountains.Bottineau is also home to Programmer's Broadcasting, which owns and operates KBTO, along with KTZU and KWGO in Minot. It was disclosed by The Desert Sun on February 24th, 2018 that Kathryn Smith (Bergquist) died in California. Ms. Smith was 60 years old and was born in Bottineau, ND. Send flowers to share your condolences and honor Kathryn's life. It was reported on September 14th, 2017 that Florence Iverson (Wassle) died in Sunnyside, Washington. Ms. Iverson was 97 years old and was born in Bottineau, ND. Send flowers to express your sympathy and honor Florence's life. It was noted by Tri-City Herald on September 12th, 2017 that Florence Iverson (Waddle) passed away in Sunnyside, Washington. Ms. Iverson was 97 years old and was born in Bottineau, ND. Send flowers to express your sympathy and honor Florence's life. It was disclosed by Des Moines Register on July 23rd, 2017 that Donald Bradley Russell perished in Des Moines, Iowa. Russell was 71 years old and was born in Bottineau, ND. Send flowers to express your sorrow and honor Donald Bradley's life. It was reported on June 12th, 2017 that Marian R Boast passed away in Prosser, Washington. Boast was 94 years old and was born in Bottineau, ND. Send flowers to express your sympathy and honor Marian R's life. It was reported on February 19th, 2017 that Samuel R Farlow passed on in Rochester, Minnesota. Farlow was 79 years old and was born in Bottineau, ND. Send flowers to share your condolences and honor Samuel R's life. It was revealed by The Herald on September 25th, 2016 that Norman Alvin Petterson perished in Everett, Washington. Petterson was 82 years old and was born in Bottineau, ND. Send flowers to express your sympathy and honor Norman Alvin's life. It was disclosed by The Desert Sun on August 5th, 2016 that Carole Faye Breithaupt (White) died in Palm Springs, California. Ms. Breithaupt was 86 years old and was born in Bottineau, ND. Send flowers to share your condolences and honor Carole Faye's life. It was written by The Bismarck Tribune on May 4th, 2016 that Veronica Wanner passed away in Bottineau, North Dakota. Wanner was 69 years old. Send flowers to express your sympathy and honor Veronica's life. It was disclosed by The Herald on April 13th, 2016 that Richard F "Indian" Wilkie died in Washington. Wilkie was 77 years old and was born in Bottineau, ND. Send flowers to express your sympathy and honor Richard F "Indian"'s life. The city and the county are named for Pierre Bottineau (c.1814-1895), a Métis pioneer, hunter, and trapper who became a successful land speculator. The city's population was 2,336 at the 2000 United States Census census. Bottineau was founded in 1887. Bottineau is a city in Bottineau County, North Dakota County, North Dakota in the United States. It is the county seat of Bottineau County and is located just over ten miles south of the Canada–United States border. The official website for the city of Bottineau is http://www.bottineau.govoffice.com/. He also leaves his brothers, Ron and his wife, Dianne, Bottineau, and Bob Heilman ... Military honors will be provided by North Dakota Military Honors Detail and the Clarence Larson Post America Legion. Burial: Will be in Little Flower Cemetery, Rugby. Listing all funeral homes in Bottineau, North Dakota so you can easily send flowers to any location (same day delivery) or find any funeral service. We work with local florists and flower shops to offer same day delivery. You will find budget sympathy flowers in Bottineau here. Our funeral flowers are cheap in price but not in value.